After finally submitting one of my final group project today, I've decided to update on a restaurant I've tried 4 years back. 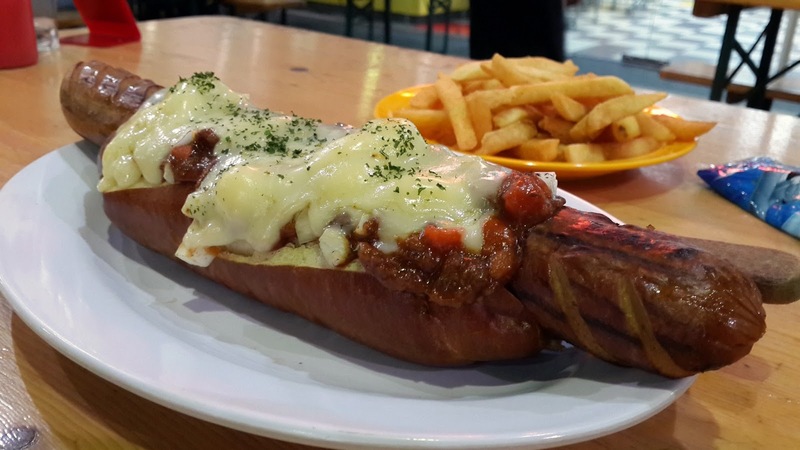 Its a German fast food restaurant located in Ampang Jaya. My accounts teacher brought me there because he knew I could eat a lot. They are famous for their 500gm and 1kg burgers. After 4 years, I've return here with Pig. This time unfortunately, I will not be trying their burgers but instead, this was what me and Pig ordered. Beef tomato sauce topped with mozzarella cheese and chopped onions on a foot-long sausage and bun. Firstly, the sausage wasn't as great as expected, but nevertheless, it was still quite acceptable. The beef tomato sauce was lacking in flavour and texture. It felt as if it was really diluted. The cheese however, was great, kinda binds everything together. The fries was horrible, oily outside dry inside. Recommend putting plenty of ketchup. Overall, the Jawbreaker isn't that bad. One could simply go for the experience or challenge to finish it. The price is really reasonable as well. 6.5/10 in terms of price to portion/taste ratio. 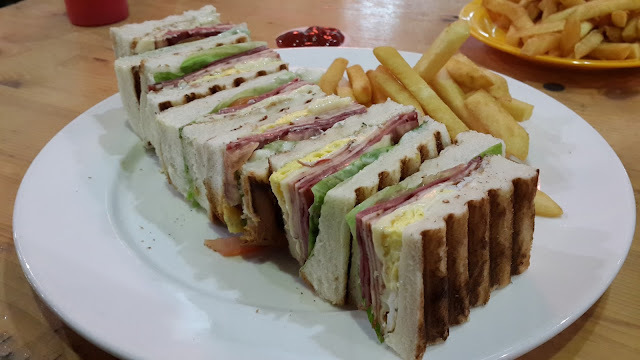 A rectangular club sandwich. Turkey ham, smoked beef, fried egg, cheese, tomato, lettuce and tartar sauce. The combination of all the ingredients create a very synchronized flavour. I could taste the ingredients individually and as a whole. The portions was really large as well. Add RM3 and make it a set, comes with fries and a cup of soft drink. Not really worth it though. Overall, it is a really simple sandwich. Price wise, good. Flavour, above average. Fries, horrible. 7.3/10.